The journey to the world of Whole Foods: Raw, Paleo, gluten-free, dairy-free, egg-free, or all of the above! I was utterly surprised and delighted to find I had been nominated for the Sunshine Award by feedmecolor this morning. What a lovely way to start the day! Thank you so much. Breakfast, Lunch, or Dinner? A: I would have to choose Dinner. I’m still half asleep at breakfast time, and lunch is eaten at my desk, so Dinner is the only meal I really have the chance to savour. If you could travel to three countries for free, where would you go? A: Greece, as my Grandmother’s family is from there; New Zealand, as from what I have seen and heard, it is a stunningly beautiful country; Fiji, as I would love to return to the country with the happiest, most beautiful people I have ever known. Salty or Sweet? A: Usually sweet. The only salty food I really enjoy are salted nuts. Favorite Food? A: Oh, that’s a hard one! Pasta, of course. Avocado, brownies, fudge, caramel, cheese…. If you could change one thing in your life what would it be? A: My utter lack of motivation when it comes to exercise. I know that it is a necessary thing, but for the life of me, I cannot keep it up. What’s one thing you wish to do in your life? A: Travel more. Fiji is the only country I’ve been to, and I would love to see more of the world and experience other cultures. I would also love to explore more of this wonderful country I live in. What’s your biggest fear? A: Sharks! They horrify me! The main reason I don’t swim in open water. What are your hobbies? A: Reading – I could happily bury myself in a good book for hours; Painting – I’m an amateur artist in acrylics & graphite drawing. If you could have any animal as a pet, what would it be? A: A wombat. They are utterly adorable! 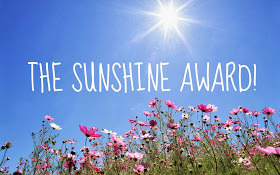 My nominees for the Sunshine Award are madebyyouandi, adrianlupsa, buckwheatforyourhealth, chugyourgreens, vinieats, theurbanvegankitchen, purelynutritious, thecuriousgiraffe, linzerskitchen, homemadewithmess. These guys all provide informative, interesting, and often humorous posts about food and life. I encourage you to check out their blogs! Where is the one place in the world you would most like to visit? If you could only buy 5 ingredients for the week, what would they be? I love your responses! I would travel more also and would definitely stay away from sharks- haha! 🙂 Keep up the great work, I always enjoy reading your posts! The Rawleotype Diet – Say What?? Quirky Cooking's Banana Chocolate Mudcakes. Grain free, dairy free, egg free & refined sugar free. Super delicious!